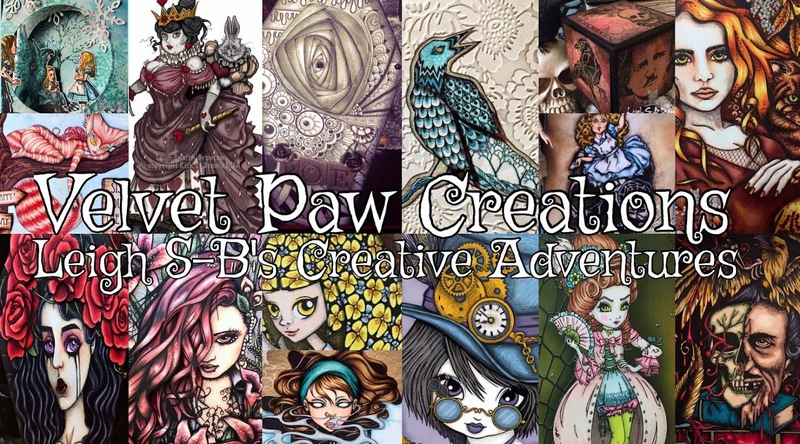 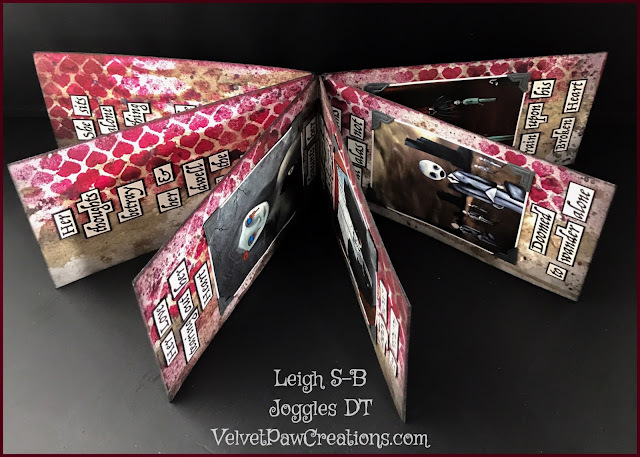 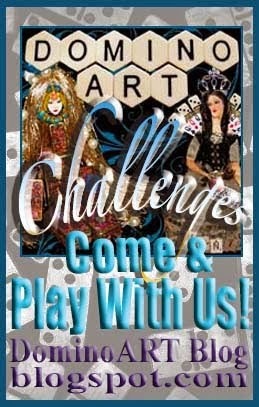 Velvet Paw Creations: lil Miss Oddleigh Cherished Heart ATC - LeighSBDesigns Art Stamps New Release! 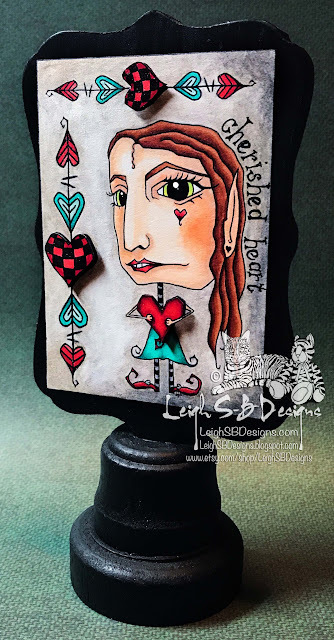 lil Miss Oddleigh Cherished Heart ATC - LeighSBDesigns Art Stamps New Release! Today I'm sharing the ATC I made featuring Sunday's new LeighSBDesigns Art Stamp release, lil Miss Oddleigh Cherished Heart set. 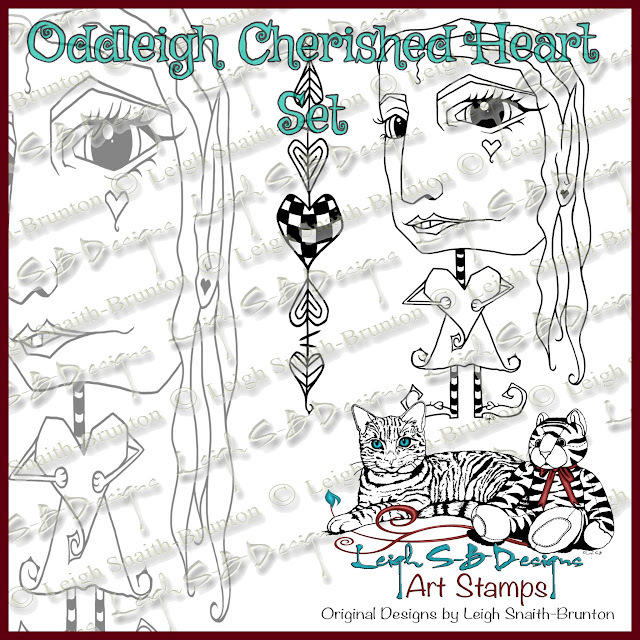 She's the 2nd character in my Oddleigh Family and she comes with a fun decorative Heart border. I used Copics to colour everthing except the background which is done with Derwent Pastel pencils and a Dove Blender pen and I hand wrote "Cherished Heart" with a Copic multiliner. 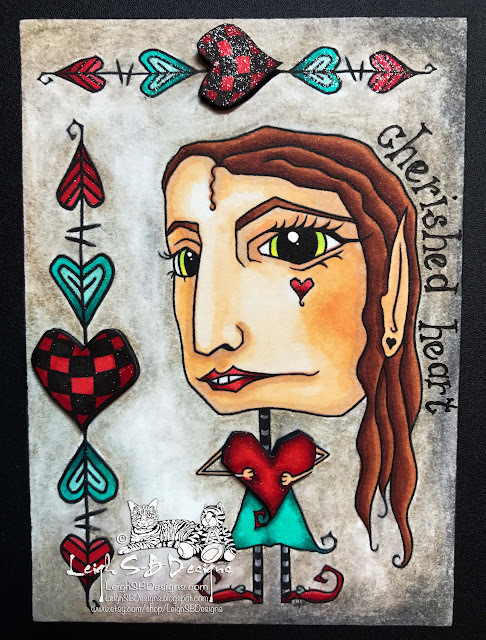 The decorative Heart borders and her heart were printed out twice so I could fussy cut them out and adhere with pop dots for a touch of dimension and I applied clear Wink of Stella to all the hearts and her shoes for a touch of magical sparkle. 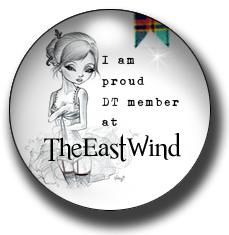 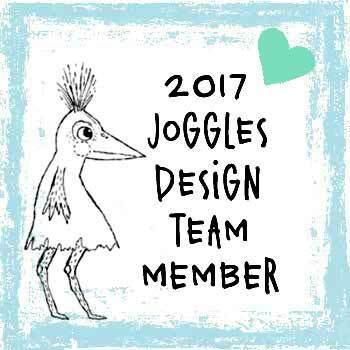 If you missed my big news then here's the scoop! 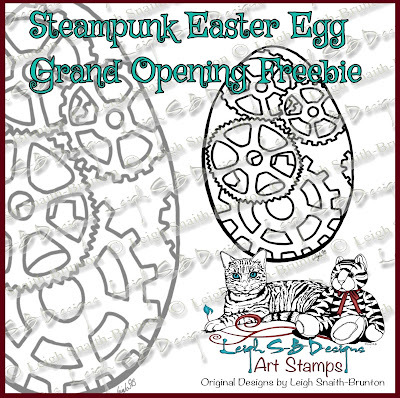 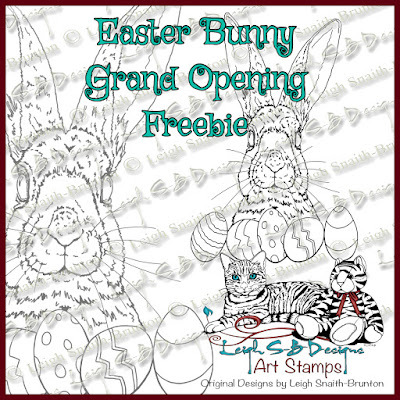 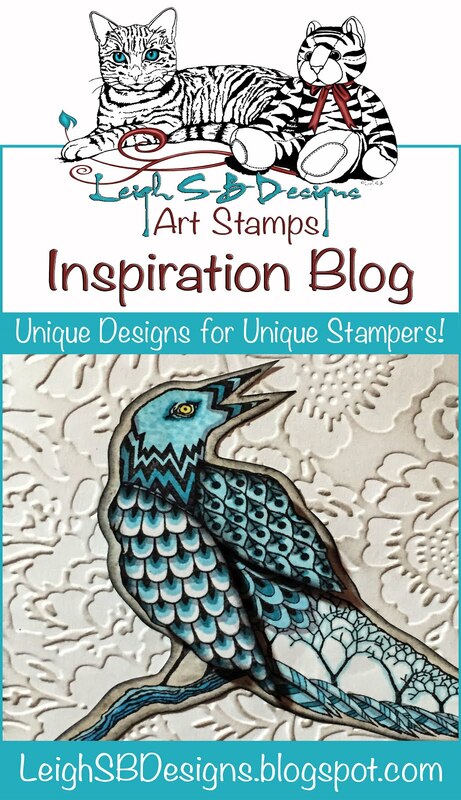 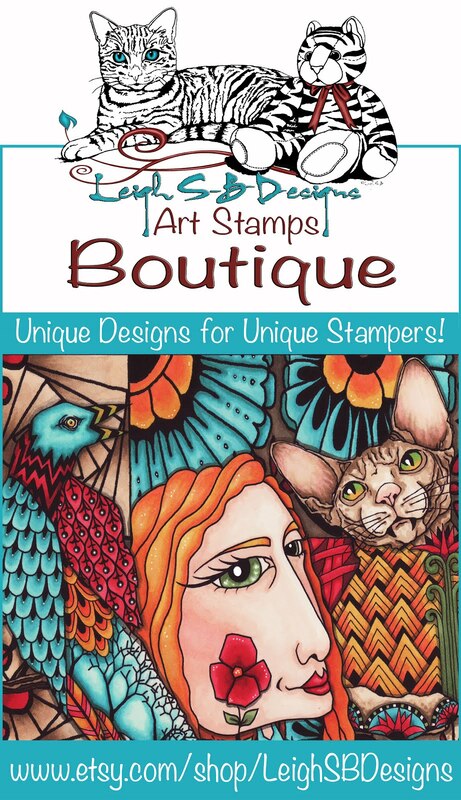 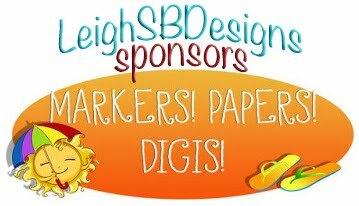 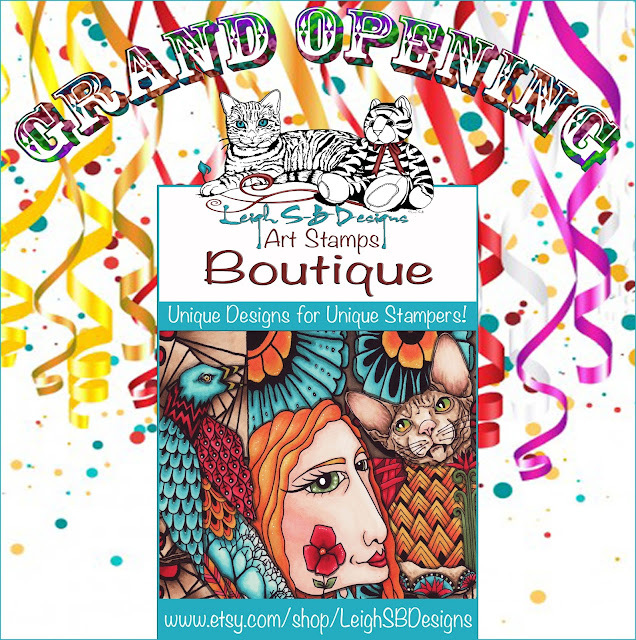 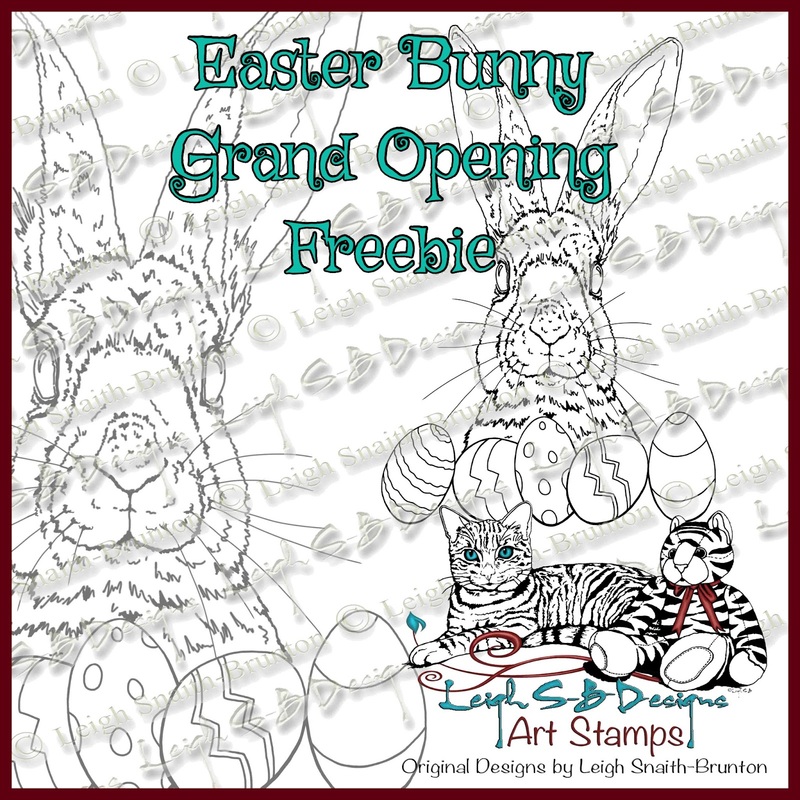 I've launched my LeighSBDesigns Art Stamps line and there's freebies up for grabs so continue reading! 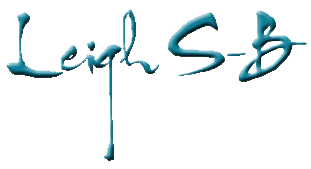 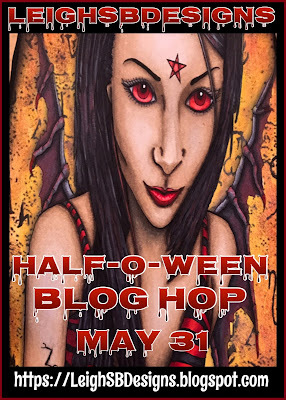 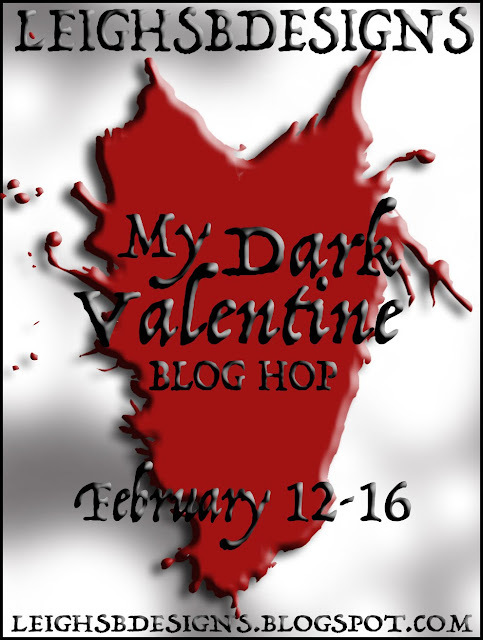 See you in my LeighSBDesigns FB Fan Group soon and return on Wednesday for my next new release! 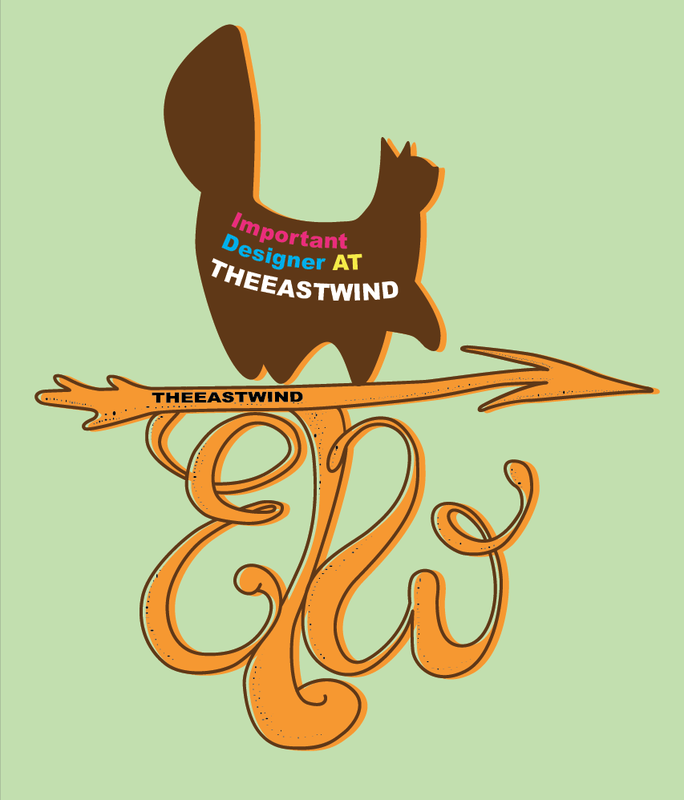 I hope you'll stay and follow me on my new adventure!